Did you realize that having an untreated growth hormone deficiency can lead to having osteoporosis, high cholesterol, a stroke, and other degenerative medical conditions? Many US adults want to know how safe are HGH injections to use because they want to assess the potential health advantages against any possible risks. This is an excellent example of how to be proactively involved in your own health care, and our doctors encourage all adults to pursue questions like this. So let’s begin by establishing the fact that growth hormone deficient, both in children and adults, is a recognized medical condition. 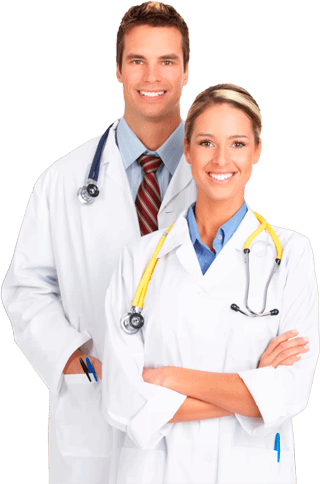 This condition has one known medical treatment, which is the use of injections of bio-identical growth hormone prescribed in a manner that is designed to safely and progressively increase deficient growth hormone production. The treatment in its current form has been in medical use for several decades; prior to that time, the only source for therapeutic growth hormone was from cadavers, which eventually proved to be too risky a source. Once bio-identical growth hormone had been successfully created during the 1980’s, those risks were eliminated. Yet other concerns were raised by some members of the US medical community regarding how safe are HGH injections, most of which have been disproven thus far. Time and again, both the extensive research and the ongoing clinical trials have demonstrated that in patients with a clinically verified level of growth hormone deficiency, the medically supervised use of injectable human growth hormone has had a consistently high record of safety. However, it is not considered safe and appropriate for everyone to use. Adults who should not be using HGH injections therapy would include those who have cancer or tumors; those with severe respiratory problems; and those who have a serious illness. So by many indications, the medically appropriate use of injectable human growth hormone has been shown to produce a number of substantiated health benefits with relatively low risks for patients. What factors determine its appropriateness to those health care providers who prescribe it for their patients? The fundamental factor is establishing that a true growth hormone deficiency exists. At Nexel Medical, this is accomplished by have a diagnostic blood test performed on a patient reporting deficiency symptoms. The test our doctors use measures the IGF-1 (Internal Growth Factor) levels in the bloodstream, because those levels tend to be more stable than the growth hormone levels that they accurately indicate. Since how safe are HGH injections for any patient to use depends on there being a clinically significant extent of deficiency, this testing is critical to their appropriate use. In the presence of actual growth hormone deficiency, it is very safe for patients to follow a doctor prescribed program of treatments. Side effects are typically going to occur when growth hormone levels become too high, which is why (1) people without deficiency should not supplement their growth hormone supply as they are likely to experience side effects; and (2) when legitimate HGH therapy patients experience side effects, they can be quickly and effectively managed by lowering their treatment dosage or suspending their treatment. Most side effects in legitimate patients are minor and temporary, and include things such as swelling, headaches and joint pain. The benefits outweigh the risks by providing patients with substantial improvements in energy; vitality; flexibility; disease immunity; injury resistance; faster healing; emotional wellbeing; increased sexual desire; and improved sleep, along with other benefits that are essential to your comprehensive wellness. If you are truly concerned about how safe are HGH injections, you will never buy and use them illegally. People who do this are obviously bypassing the medical supervision that assures their safe use; and then increasing that risk exponentially by injecting themselves with substances that have not been verified for authenticity by US drug standards. The substances that some people are illegally obtaining from unlawfully operating websites offering cheap or non-domestically produced HGH for sale frequently turn out not to be composed of genuine biosynthetic human growth hormone at all. Can you see yourself injecting an unknown substance directly into your bloodstream? In the event that people do manage to purchase real HGH from an illegal online source, if they use more than what is considered to be medically safe, they expose themselves to side effects that can range from minor to severe – plus the possibility of causing long-term damage to their health. Bodybuilders have historically been the main market for illegal HGH injections; but with the increased publicity that has been given to the remarkable benefits provided by legitimately prescribed growth hormone replacement therapy, the market has grown to include other people. Some of these people undoubtedly believe that they can obtain all of the information they would ever need to use injectable human growth hormone safely online. However, anyone using it without having been properly tested and diagnosed by a qualified medial doctor is gambling with their most valuable asset: their health. Call Nexel Medical and talk to us about how safe are HGH injections – we will be happy to provide you with the latest information that ongoing medical research has produced We can also answer any of your other questions about becoming healthier and more vibrant with a properly prescribed growth hormone replacement program, because that is what our highly respected doctors specialize in.